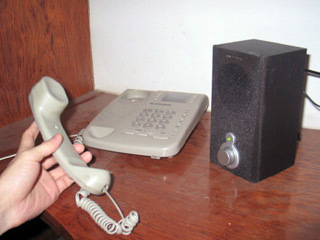 To program a telephone dialer that makes phone calls using computer synthesized sounds (Dual-Tone Multi-Frequency (DTMF) tones). Pick up the handset of an ordinary DTMF telephone. Play the synthesized sounds. Done! To have a try, please save the following Matlab script to dial.m, and call it as dial('123-456-7789'). %DIAL.M synthesizes sound to make a phone-call.